UK's most widespread and frequent aliens. 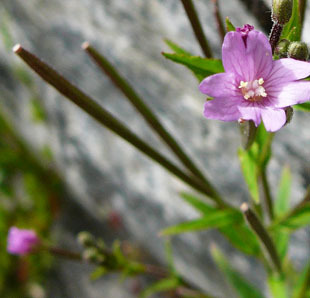 American Willowherb is a perennial herb, growing up to 75cm. 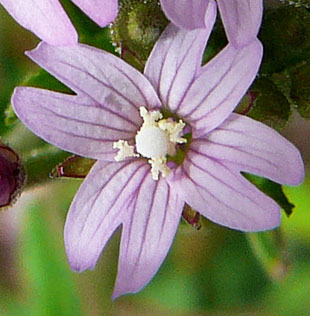 There are 4+4 stamens, but often only 4 are obvious. 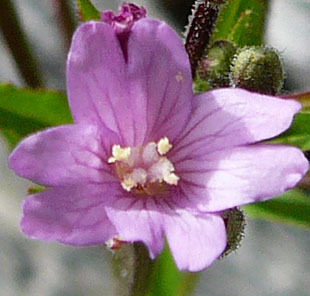 The stigma is club-shaped and slightly longer than the stamens. 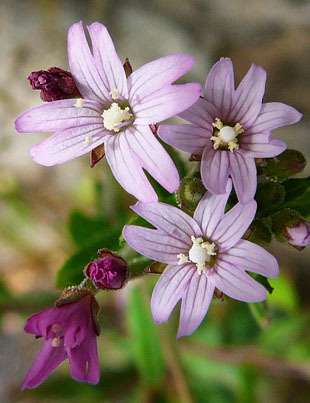 The fruits are relatively short. 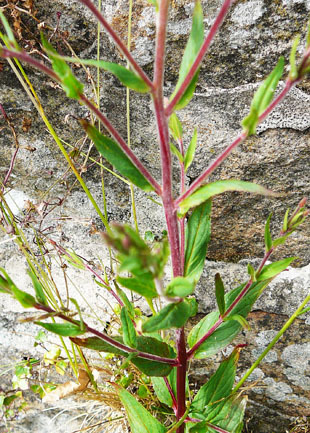 Leaves are narrow and lanceolate. 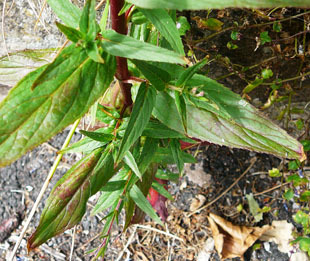 Stems are reddish and downy.